Can a vitamin deficiency cause you to gain weight and have health problems ? Is there a link between a vitamin and mineral deficiencies, health problems and weight gain? 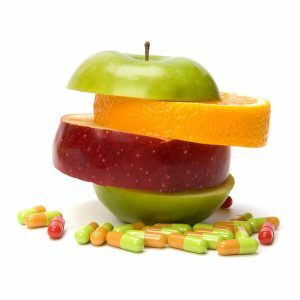 There are many people who do not believe in taking high quality supplements for numerous reasons including, “ I do not like to take pills,” or “I get all of their nutrition from the foods I eat.” Decades ago we were able to get more nutrition from the foods we eat and our risk for leaky gut syndrome was not as high, is was more realistic to get more nutrients from the food we eat. Currently the industrialized farming, depleted soil, and daily toxins we are exposed to pose a high risk for vitamin and mineral deficiency. Recent research published in the College of Nutrition, suggests that there is an intricate relationship between weight gain, health issues and our deficiencies in vitamins and minerals. Research has also shown that overweight adults have vitamin deficiencies across the board. It is mind boggling that we can be overweight yet malnourished; the reason for this is we are consuming poor quality foods in abundance with no nutritional value. The research revealed that 20% of obese adults were lacking in vitamin A, vitamin C, vitamin D, and magnesium. They were also less likely to meet federal requirements for iron, calcium and vitamin E, this population also was obese. It is obvious that there is a major correlation between excess fat and deficiencies. It’s estimated that 92% of Americans are deficient in at least 1 vitamin or mineral. A recent USDA study showed that 37% of Americans are deficient in vitamin C, 70% don’t consume enough vitamin E, 75% of us are deficient in Zinc, and 40% are low in Iron in addition to the most popular American deficiencies including vitamin D and Magnesium. Even if you consume a healthy diet you may come to find out you are suffering from something MOST Americans have, but just don’t know it… leaky gut. When you have leaky gut, your body is unable to properly absorb vitamins and minerals from your food. So you could be eating a militant healthy diet, and be deficient in several essential areas. Start by modifying your diet, improve the quality of the foods you are consuming and remove foods that can contribute to inflammation. Leaky gut is caused by inflammation and stress.How do you know if a food gives you inflammation? Consider the elimination diet. The first thing you do is start removing the most common inflammatory foods including: dairy, wheat/gluten, sugar, corn, and soy. Read labels before you put food in your body and do your best to remove these 5 high inflammatory foods from your diet. Signs of inflammation include: brain fog, headache, body aches, upset stomach, colon distress, cramping, gas, bloating, indigestion, heart burn, nausea, decrease in energy or mood, weight gain, insulin problems, auto immune issues and so on. Basically any distress or uncomfortable physical change you notice that happens after you eat is a sign of inflammation. Once you remove these inflammatory foods from your diet, your gut will begin to heal and therefore if you are suffering from leaky gut, your body will then start to absorb more nutrients from your food. Do this diet for 4-6 weeks and then re-introduce foods back in if you desire them every 3-4 days, do not reintroduce everything all at once because you may miss a “trigger” food. Start taking a high quality multi vitamin/ mineral supplement.This is your insurance policy. Capsules are better than hard tablets, tablets are not broken down well in the body because they are banded with fillers and you end up not absorbing the nutrients. Additional supplements can be recommended by a qualified health professional as they pertain to your symptoms and/or laboratory results. Improve the quality of the foods you are eating.Are there areas that are lacking in nutrient dense meals? Are you eating out often? Restaurants add harmful preservatives, sodium, fat and calories to their foods. Consume foods especially animal products that are free of chemicals including trans fats, high fructose corn syrup, dyes, antibiotics, preservatives and steroids. All of these additives will slowly breakdown the integrity of your gut resulting in nutrient deficiencies. The nutrient deficiencies result in chronic inflammation, increasing your cravings for fattening foods like sugar, and starchy carbohydrates. Consume a football helmet full of vegetables and some fruits daily. Fresh or flash frozen all natural/ organic vegetables and fruits are the best options, avoid canned as they have preservatives and can absorb harmful toxins from the lining of the can. Eat 9-11 servings of vegetables and fruits preferably a ratio of 3:1 vegetables to fruits. This ratio promotes optimal blood sugar levels and adequate fiber. Stick to low sugar fruits like berries when you do consume fruits. Non-starchy vegetables like leafy greens, broccoli, cauliflower, green beans and asparagus are best. Consuming high quality produce in this amount daily will also ensure that you are getting adequate nutrition from your diet in addition to your supplementation. Try to eat a variety of plant-based foods for different nutrients, the best way to do this is to aim to eat a rainbow of colors including purple, green, orange and red. The low fat and fat free craze: That egg whites, skim milk, and fat free margarine are at the center of this problem. The fat-soluble vitamins (like vitamin A, D, E, and K) are found in the FAT, and when you eat low fat, you lose these vitamins and some hormones, thyroid and metabolism stimulating nutrients. Fat is not the problem, healthy fats should be consumed at every meal and snack. Saturated fats should be consumed in moderation. When Americans were led astray by the food company lobbyist to remove saturated fat for polyunsaturated fat (i.e. butter for inflammatory vegetable oils), our health took a big hit. Foods containing saturated fats (like egg yolks, butter, cream, steak, beef, whole milk) are naturally high in vitamin A, where as man made vegetable oils and margarine is not. This is not a free pass to eat butter by the stick, but it can be consumed in moderation especially if you are consuming your nutrition through whole unprocessed all natural foods.